Ralph Edward Perry, 82 years of age of Grundy, VA, passed away Thursday, February 7, 2019 at his home. Born April 15, 1936 in Marfrance WV, he was the son of the late Wilford and Alma Holestin Perry. 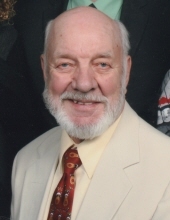 Ralph was an active member of Grundy Baptist Church where he served as Deacon. He was an avid outdoorsman and enjoyed hunting, fishing, gardening, and was a friend and supporter of the Coal Industry. Ralph was an antique car enthusiast and won many awards with his Ford Mustang. A loving husband, father, grandfather, great-grandfather and brother. In addition to his parents, he was preceded in death by his son, Joel Edward Perry; sister, Leona McGraw; and brother, Carmel Ray Perry. Those left to cherish his memories include his loving wife and soul mate of 65 years Shirley Jane Gilbert Perry of Grundy, VA; two daughters, Juree (Ricky) Hackney of Grundy, VA and Sandra Kay (Stanley) Duty of Cedar Bluff, VA; one son, Chris (Tennille) Perry of Bristol, VA; one sister, Janet McClung of Ohio; and three brothers, Michael Perry of WV, Dennis and Jerry Perry both of TX. He is also survived by six grandchildren, Anthony (Stacy) Hackney, Stanley “Bub” (LeAnn) Duty, Christy (Michael) Getz, Heather (Cheyenne) Osborne, Jeremiah Perry; fourteen great-grandchildren, numerous nieces and nephews, and his pride and joy canine companion, Princess. Funeral service for Ralph Edward Perry will be held at the Grundy Baptist Church, Monday, February 11, 2019 at 12:00 noon with Pastor David Peters and Evangelist Otto “Jr” Justus officiating. Burial will follow at the Mountain Valley Memorial Park, Big Rock, VA.
Honorary Pallbearers will be the Deacons of the Grundy Baptist Church and Dr. Clint Sutherland. The family will receive friends at Grundy Baptist Church, Sunday, February 10, 2019 after 6:00 p.m. with an evening service to be held at 7:00 p.m. The family of Ralph Edward Perry have entrusted the care of their loved one to Shortridge-Ramey Funeral Home of Grundy, VA.
"Email Address" would like to share the life celebration of Ralph Edward Perry. Click on the "link" to go to share a favorite memory or leave a condolence message for the family.